Why use an Instagram Analyzer ? In the competitive world of social media, Facebook wins for sheer popularity, with an astounding user base of nearly 1.4 billion. But Instagram, where photos replace words as a means of connecting, is growing much more quickly than any of its competition. As a home base for young people, Instagram is unrivaled. With Facebook also declining in organic reach, many brands are scurrying to establish a presence on Instagram to reach the all-important youth demographic, Forbes notes. For brands attempting to establish a successful presence on Instagram, it’s more important than ever to be honest and authentic by highlighting photos of real users of products and services. Although other social media platforms that focus on photography — for instance, Snapchat — are growing in popularity, Instagram pioneered the category of social media via photo and video sharing. The phenomenal growth of Instagram reflects its increasing role in the marketplace: Business Insider reports that in 2013, the site grew to 150 million users in just half the time Twitter took to accomplish the same feat and two years faster than Facebook. The Pew Research Center notes that in 2014, for the first time, more than half of adults ages 18 to 29 were using Instagram. Of those users, nearly half use the site every day. In addition to increasing the number of users by 9 percent, Instagram also experienced a high rate of growth among nearly every demographic group. The service is not just for young people anymore — more than a quarter of the adults in the United States now use Instagram — and marketers are taking notice. At the end of 2014, the site had some 300 million active users, nearly the equivalent of the total population of the United States. For marketers just beginning to dip toes into Instagram and for those who have already established a presence, using Instagram content analysis is important to measure results. Unlike Facebook and Twitter, Instagram doesn’t provide its own analytics tools. However, third-party tools are filling the void to provide businesses with valuable insights into the effectiveness of their campaigns. Unmetric is a platform that can help marketers with their Instagram analytics and act as Instagram Analyzer. It dives into the various points of analysis for Instagram and looks at thousands of other brands to establish useful benchmarks. Effective use of benchmarking allows Instagram marketers to analyze exactly what is different and successful about competitors’ campaigns. Data is useless without context. Understanding how you stand against other brands in your industry gives you the context you need to be able to answer whether you are doing a good job or not. The Best Performers tool, sortable by date and category, allows marketers to see how other brands are creating their content, and detailed logarithmic data alerts them to new marketing trends worthy of further investigation. Each brand being tracked on the Unmetric platform is assigned a Unmetric Score. The Unmetric Score is a sector based weighted index, normalized to 100 that combines various qualitative and quantitative factors. What this means in non-geek speak is that the maximum score any brand can achieve is 100 and all other brands are ranked relative to the top performing brand in their sector. This means that a brand that achieved a score of 40 has done roughly half as well as a brand that achieved a score of 80. Marketers also are alerted in the event of any out-of-the-ordinary activity with competitors’ brands or their own brands. With such a high number of young people using Instagram, authenticity is key. Staged photos, use of models and other tactics deemed disingenuous by the Instagram community typically are sniffed out quickly. A better method for achieving business and social objectives is highlighting photos of real users incorporating products and services into their everyday lives. As such, Instagram users become visual evangelists for brands. They tell their own stories, which engage other users and cause them to engage with brands. Using Instagram for customer engagement requires a significant time commitment to truly become part of the community. Following popular users and commenting on their content is not just necessary but is expected. Southwest Airlines uses the service in an engaging way by posting a mix of the airlines’ own promotional photos along with photos posted by users and tagged to appear on the airlines’ feed. In any form of marketing, watching what competitors are doing provides valuable data. Instagram is no exception, and third-party Instagram competitor analysis companies can provide a wealth of valuable information to help companies tailor their campaigns. 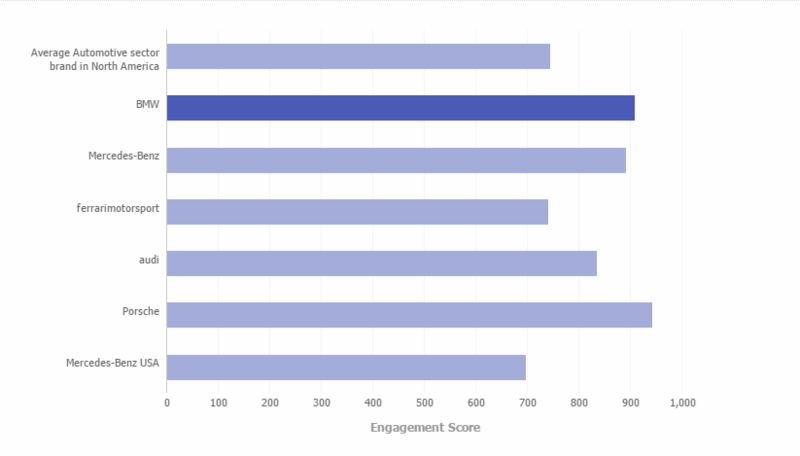 Easily keep track of the most engaging hashtags yours competition is using and how much they are engaging. For certain business sectors — including luxury, fashion, and food and beverage — focusing on Instagram is a must. These highly visual categories lend themselves to beautiful photography and frequent interaction with customers. A prime example is Hermes International S.A., the French manufacturer of high-end lifestyle accessories that is known for its iconic scarves. Photos on the company’s Instagram account enhance the brand image by portraying art, dance, beautiful interiors and Hermes goods being used in upscale settings. McDonald’s takes a more cute and low-key approach to target the millennial demographic that’s vital to its ongoing success. Photos portray mostly young users having fun, doing funny things and enjoying Mickey D’s fare. Forbes reinforces the need for marketers to be genuine on Instagram, noting that it’s not the right platform for a hard sell. Instead, marketers should plan campaigns around beautiful photos that elicit emotion to drive purchasing behavior. As on other social media platforms, effective marketers make use of creative hashtags on Instagram. Although hyperlinks are not allowed on Instagram, hashtags help connect photos to larger campaigns. One way to gain followers is by incorporating popular hashtags like #throwbackthursdays, Forbes advises. Hashtags specific to a campaign group photos together on Instagram and can encourage more submissions by users. They also can be used on a corporate website gallery, which does provide the ability to link to other product and service content. When users respond to Instagram campaigns by submitting their own hashtagged photos, it’s important for brands to engage and respond, whether with a live representative or using an automated tool to post comments. The most effective way for brands to incorporate Instagram into their marketing efforts is by designing campaigns around user-generated photos. Encouraging and engaging consumers who submit photos of real uses of products and services results in genuine brand stories that spread to other users and boost sales. An Instagram analytics tool like Unmetric can assist marketers in measuring the effectiveness of their campaigns and keeping tabs on successful strategies used by others. Try out all these great features for yourself, by taking Unmetric for a spin. Click below for a demo or trial.